If you’re sick of winter, you’re not alone. There’s been cold, snow and bone chilling winds, and we’re not done yet. We have about a month to go and if you’re feeling a chill inside as well as outside, there may be issues with your home’s exterior. There’s no reason why you should have a drafty home and if you do, you should know that it’s going to affect your heating bills. But Good Guys Contracting can help. Good Guys is Long Island’s premier home improvement contractor and we’re the guys to call when you need the job done right. We expertly install quality home products and we can help improve your quality of life and help boost the return on your investment in your home. 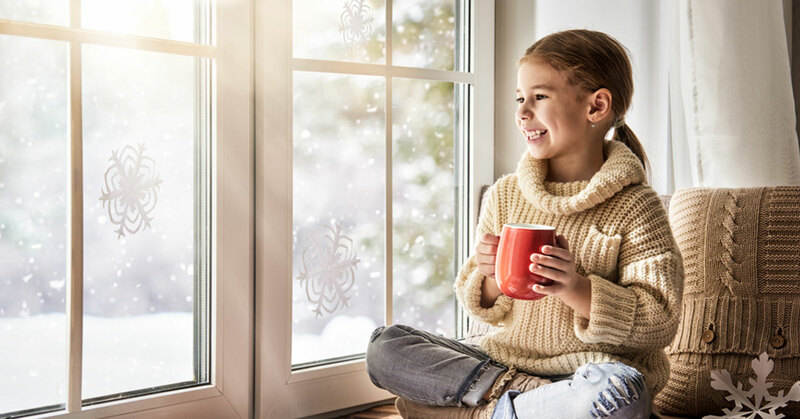 We know that your home’s exterior is your first line of defense against all that Mother Nature can throw at you this winter. So we want to give you some tips on protecting your home from harsh winter weather. One of the best things we can think of to protect your home during the winter months is to install James Hardie Siding with Good Guys. We’re a James Hardie preferred contractor which means we’re committed to installing this high-quality fiber cement siding according to the company’s exacting standards. Hardie siding is known for its durability. It stands up to everything homeowners encounter on Long Island. Summer heat, rain and wind storms, pests, fire and of course winter cold. This product is specifically engineered to adapt to the individual climates where they’re installed. Here on Long Island that means it is made to protect you from wet, freezing conditions. Unlike vinyl siding, Hardie siding won’t crack in cold weather. If you’re concerned about rising heating bills a good place to combat it is by adding or installing insulation. Good Guys’ insulation of choice is Tripolymer injection foam. This is a foam that can be sprayed in wall cavities and can supplement existing insulation. It will improve the energy efficiency and it’s ecofriendly. Tripolymer foam is 100 percent biodegradable and can insulate hard to reach places such as pipe chases, which are false walls often built to hide pipes. One of the reasons your home may be getting drafty is that you have aging windows and doors. It may be time to replace them. Good Guys can improve your energy efficiency with Marvin and Integrity by Marvin windows and doors. We’re a Marvin authorized replacement contractor and we offer all types of windows from wood, ever wood, aluminum and Ultrex, a fiberglass window known for their toughness and durability. We know winter is tough on homes. That’s why you need a home improvement company that will do the job properly. Good Guys Contracting knows how to protect your home and we have the products that will eliminate worries when the mercury drops. If you’re looking to shore up your home’s defenses against Old Man Winter, contact us today.